Amazon has the Baby Aspen "My Little Night Owl" Snuggle Sack and Cap for babies 0-6 months on sale for $18 (regularly $36). 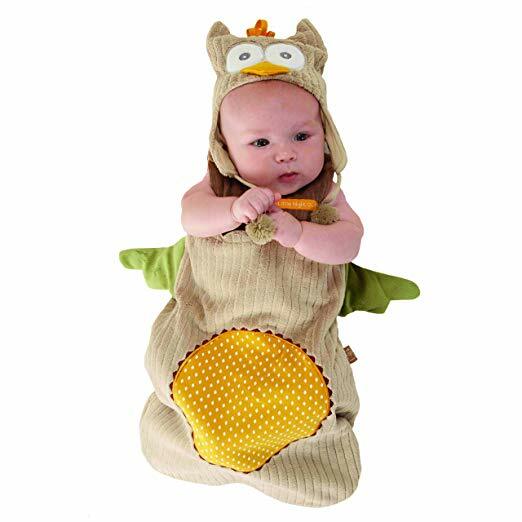 Features enchanting, owl-inspired snuggle sack and cap with plush, ribbed fabric outside and comfy-cozy 100% cotton inside. Easy open-and-close snaps at the shoulders and zipper on the bottom for quick access. Matching cap has owl-like ears, two wide eyes, an orange beak and crest and braided-fabric ties with fuzzy balls on the ends Snuggle sack and cap arrive on a tree branch-shaped cardboard hanger. 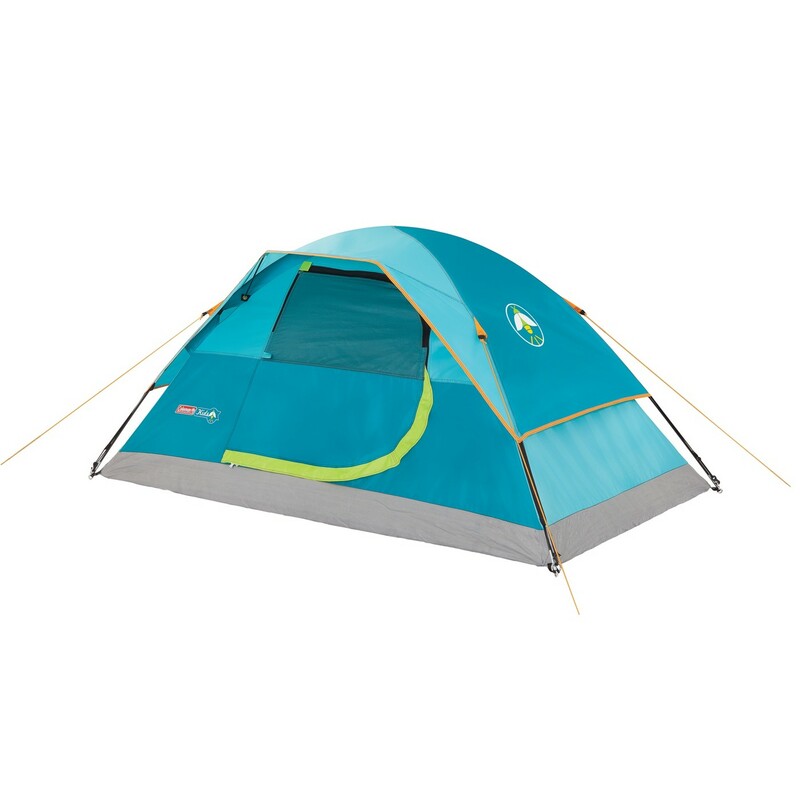 Target has the Coleman Youth Tent with glow in the dark rainfly on clearance for $17.99 (regularly $39.99). The Coleman Kids Wonder Lake 2-Person Dome Tent lets kids have their own tent. 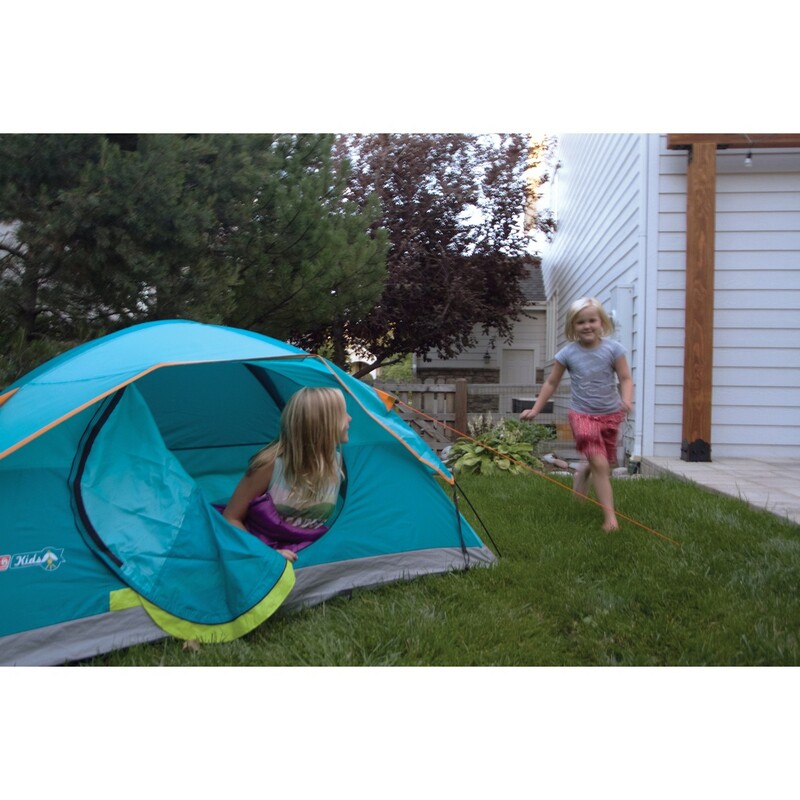 This compact camping tent sets up easily in the backyard or campground in about 10 minutes thanks to snag-free continuous pole sleeves and a patented pin-and-ring system. Walmart has the Step2 Crabbie Kids Plastic Outdoor Sandbox with Cover on sale for $54.99 (regularly $72.99). Help your kids have endless hours of outdoor fun with the Step2 Crabbie Sandbox with 2 Built-In Seats and Cover. This adorable play structure is made using sturdy construction. 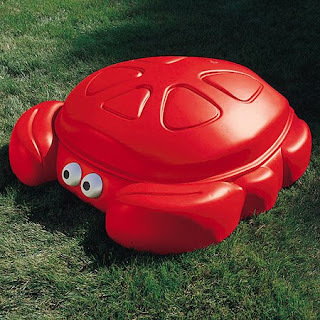 The Step2 sandbox is crab shaped and bright red. 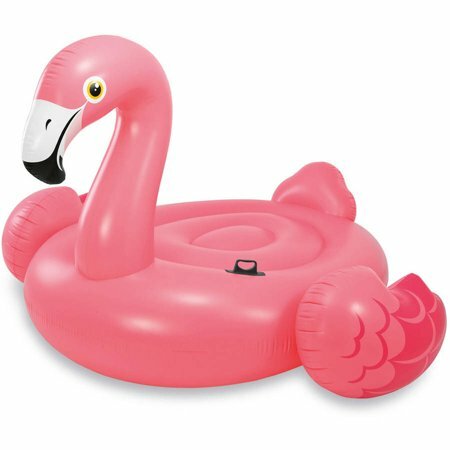 It has the capacity to hold up to 300 lbs of sand and includes a protective cover to keep bugs and animals out. 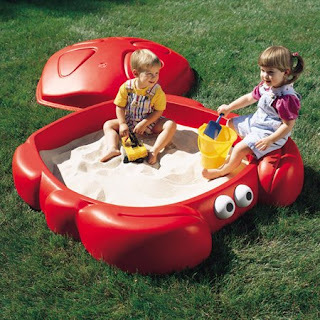 Additionally, the sandbox play set includes two molded-in seats for added comfort. 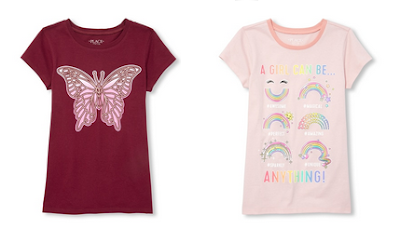 The Childrens Place has kids t-shirts on clearance with prices starting at just $1.99 and shipping is free! There are 10 shirts available at this price with styles for both boys and girls. Best Buy has the original Tamagotchis on clearance for $11.99, down from $19.99. 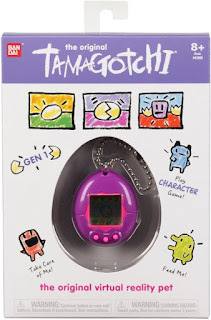 Bring out your nurturing side with this Tamagotchi digital pet device. 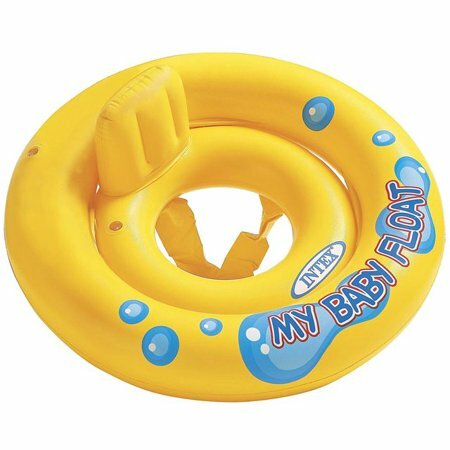 It's chosen from an assortment of six cute styles, and it's a smaller version of the original 1990s model for a nostalgic feel. The accessory chain makes this Tamagotchi digital pet device easy to attach to a purse or backpack. Kohls has the Gymnastics Dora The Explorer doll on clearance for just $7.49 (regularly $24.99). Little gymnasts will love helping Dora practice for her big gymnastics meet! Dora features poseable arms and legs so kids can position her into real gymnastic moves like splits, leaps, handstands and more! 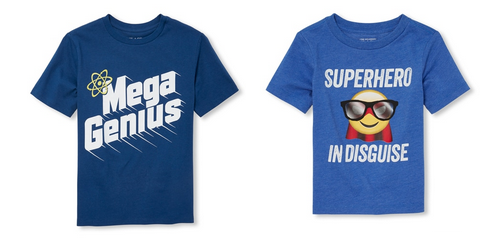 Kohls has 5 different character sweaters on clearance for just $5.99 (regularly $29.99). Use coupon code SPRINGTIME to save an additional 15% off bringing the price down to just $5.09. Choose from Thomas the Train, Batman, and Chase from Paw Patrol. Available in sizes 2T, 3T and 4T. They also have 2 Christmas sweaters including Snoopy and Marshall from Paw Patrol. 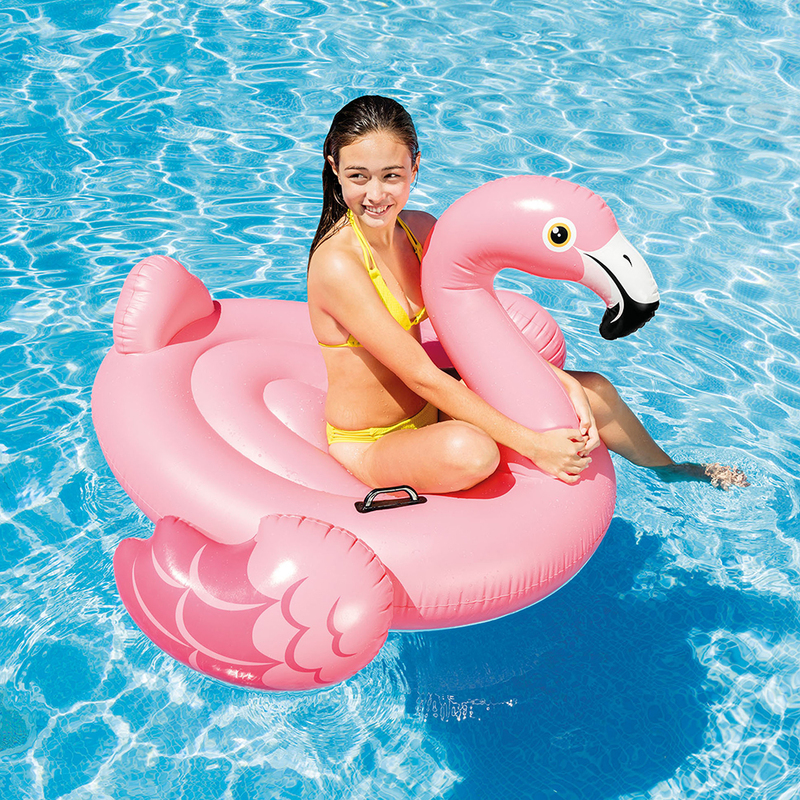 If you are Kohls credit card holder use code FASHION30 to save 30% bringing the price down to $4.19 and code MARMVCFREE to get free shipping. 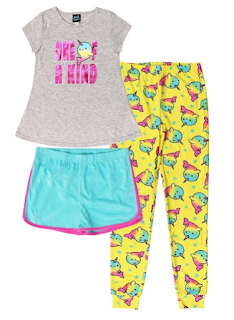 Kohls has trendy girls pajamas on sale for $18 (regularly $36). In addition use coupon code SPRINGTIME to save an extra 15% off bringing the price down to $15.30. 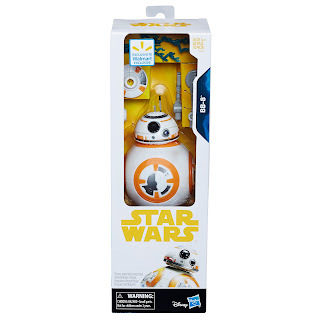 Use code FASHION30 to save 30% bringing the price to $12.60. 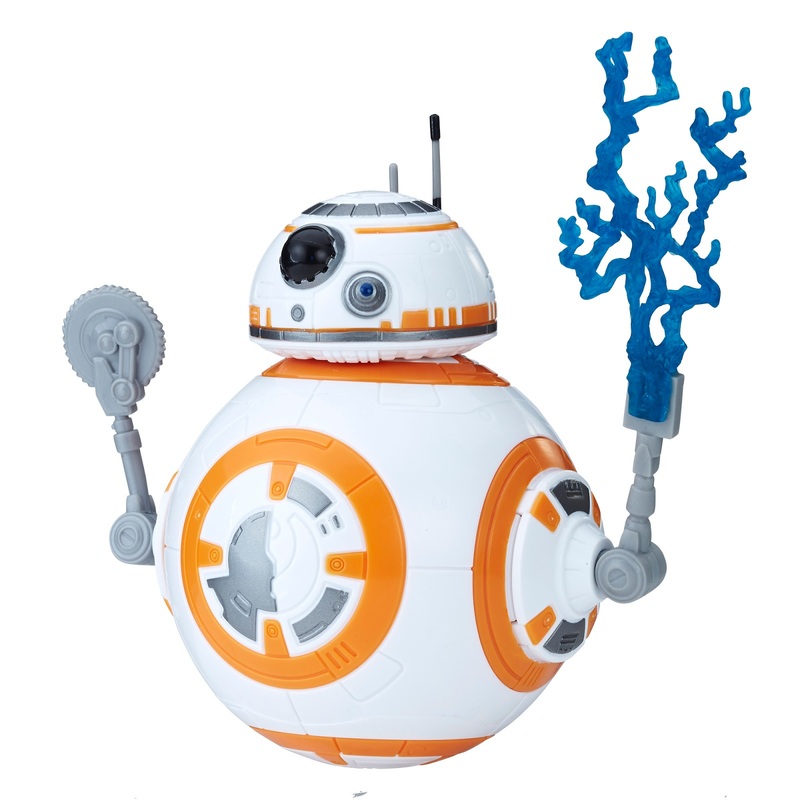 In addition you can use code MARMVCFREE to get free shipping. Choose from narwhal, unicorn or sloth graphics. Available in size 4 to 16. These pjs include a shirt, shorts and pants. Walmart has a 6.5" Flash LED Wheel Hoverboard Two-Wheel Self Balancing Electric Scooter on sale for $109 (regularly $299). Using a servo-control system to drive motor accurately. 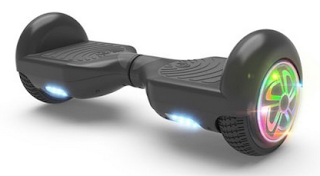 When you stand on the hoverboard, the power plant will move the wheels forwards or backwards to keep balance, allowing full 360 degree maneuverability. 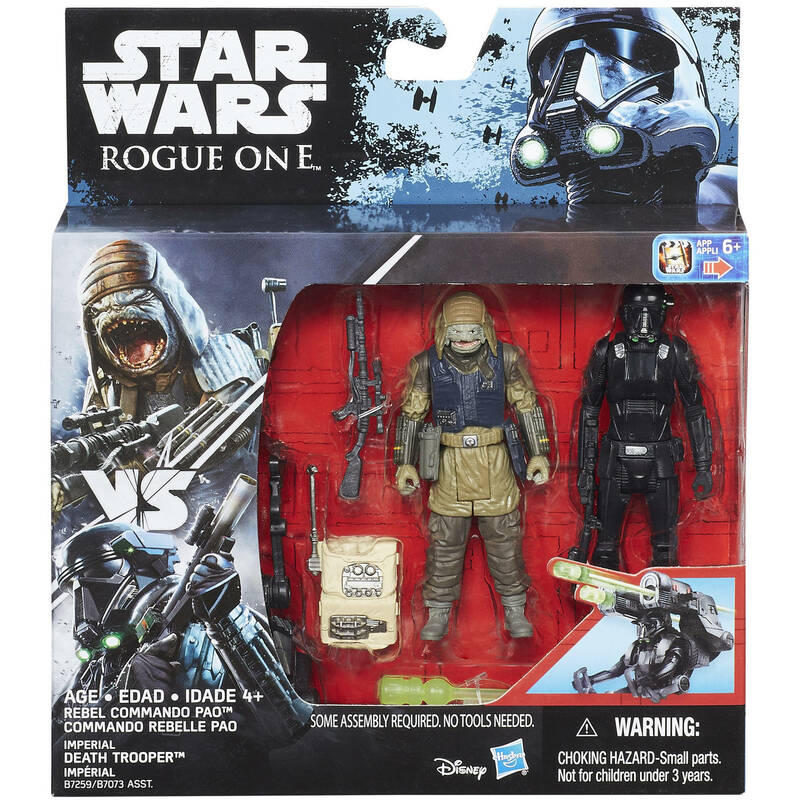 Walmart has the Star Wars Rogue One Imperial Death Trooper & Rebel Commando action figure set on sale for $5.97 (regularly $14.97). Featuring the Imperial Death Trooper figure, Rebel Commando Pao figure, and a dual projectile launcher pack. The elite soldiers of Imperial Intelligence, Death Troopers are encased in specialized stormtrooper armor with a dark, ominous gleam. 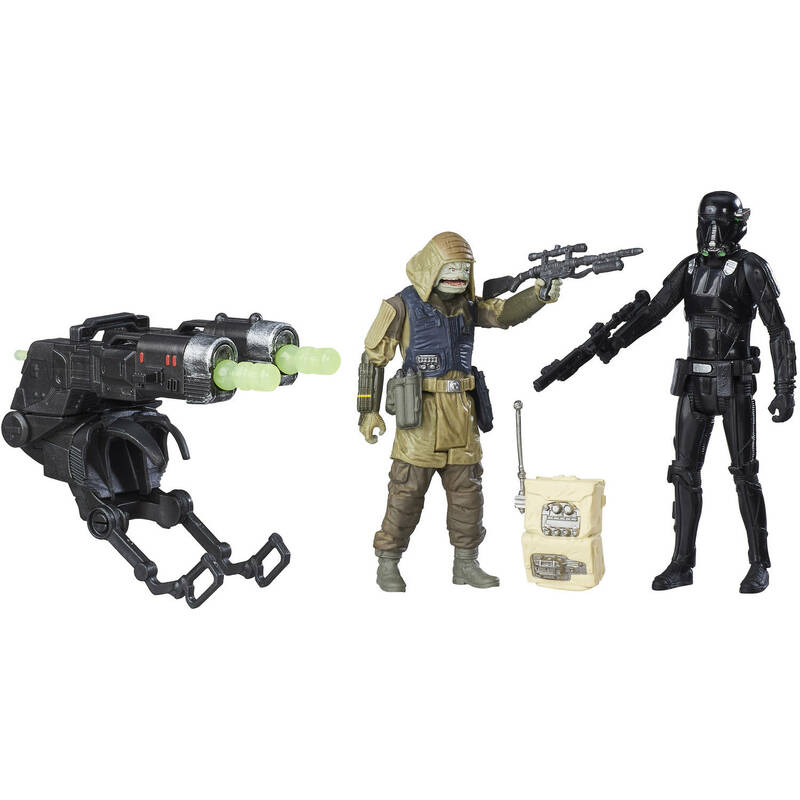 These soldiers serve as bodyguards and enforcers for Director Krennic, a highly placed officer within the Advanced Weapons Research division of the Empire. A fierce amphibious Drabata, the fierce Commando Pao charges into battle with the Empire while shouting a full-throated battle cry of "Sa'Kalla!" as is his custom. 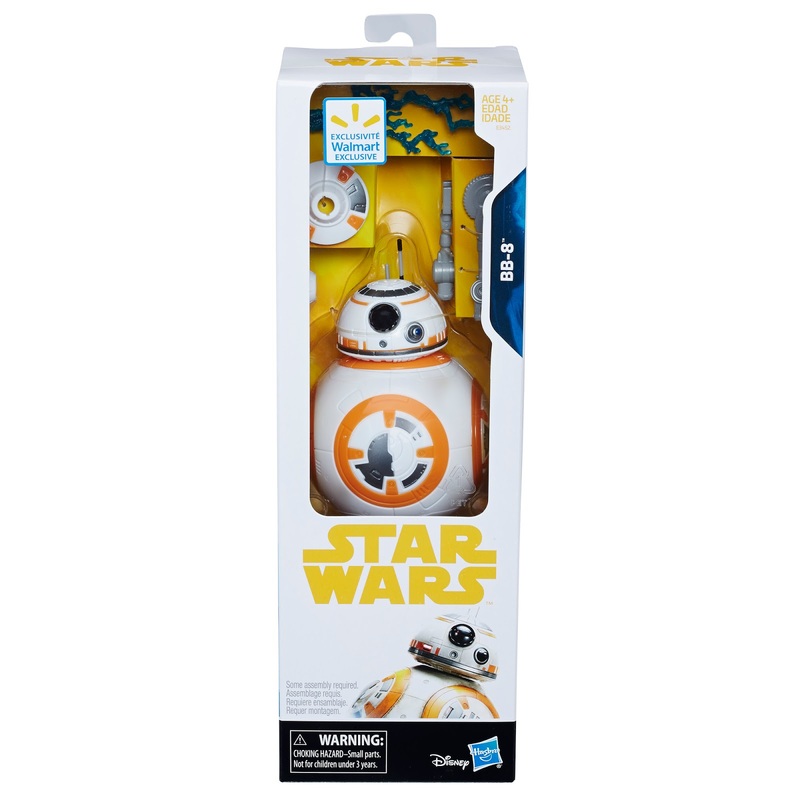 He joins the Rogue One team on its historic mission to secure the Death Star plans.